8:00 PM Come join us for an unforgettable evening - the PREMIERE of Keepers of the Light at the iconic Gay Head Cliffs! 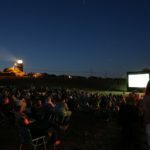 The film will be presented outdoors at the Aquinnah Circle in front of the iconic Gay Head Lighthouse. Screening is FREE! Bring a blanket or chairs to sit. Pack a dinner, or buy food up at the cliffs before the screening. The lighthouse will be open for sunset tours. Parking is also free, at the beach parking lot near the circle. We are proud to announce that ``Keepers of the Light`` will open the 2018 Woods Hole Film Festival. Come watch the film in a fun, festive, setting. 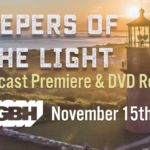 As part of the celebration of 2018 Lighthouse Weekend, the National Lighthouse Museum is excited to be able to present a screening of the documentary “Keepers of the Light”. August 7th is National Lighthouse Day! What better way to celebrate than to come learn about one of America's most famous lighthouses, Martha's Vineyard's own Gay Head Lighthouse! 7:30 pm. Back by popular demand! Filmmakers Liz Witham and Ken Wentworth will give a post screening Q&A. 6:45 pm. IMFF opening night! Join us at the Alamo Theater for the premier event for maritime-themed filmmaking. The IMFF is a joint venture between Main Street Bucksport (MSB) and WoodenBoat Publications, Inc. (WBPI), in Brooklin, Maine. 7:00 p.m. Back by popular demand! The Woods Hole Film Festival presents ``Best of the Fest`` at the Cotuit Center for the Arts, located at 4404 Falmouth Road, Cotuit, MA.